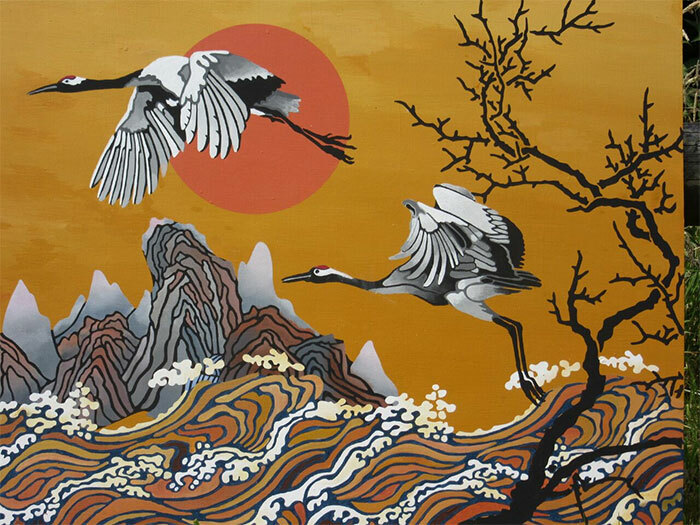 In Chinese Mythology cranes are connected with the idea of longevity and immortality. In art and literature, immortals are often depicted riding on cranes. 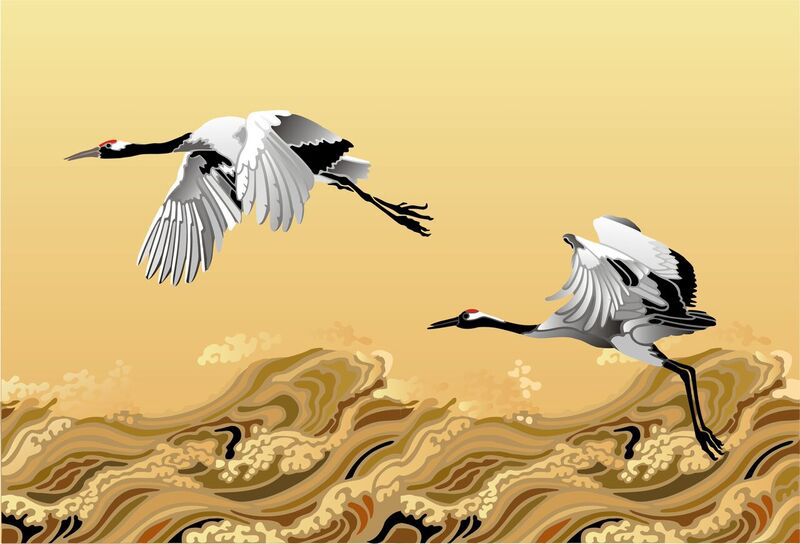 The Red Crowned Crane is also a symbol of nobility. 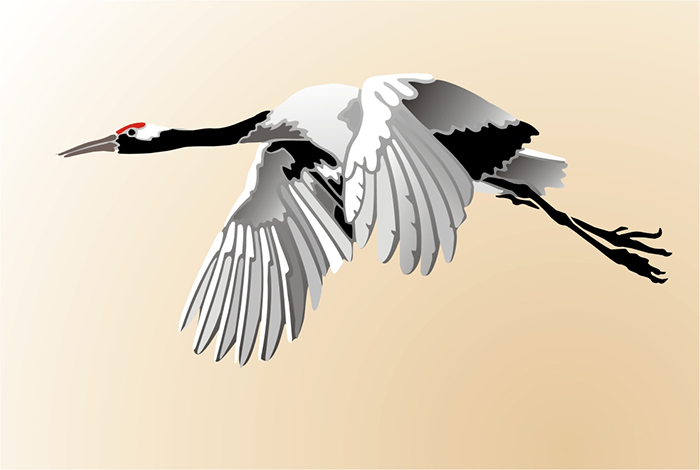 Illustration features both of our Red Crowned Crane stencils. The Yellow River stencil can be found in our sea catalogue. 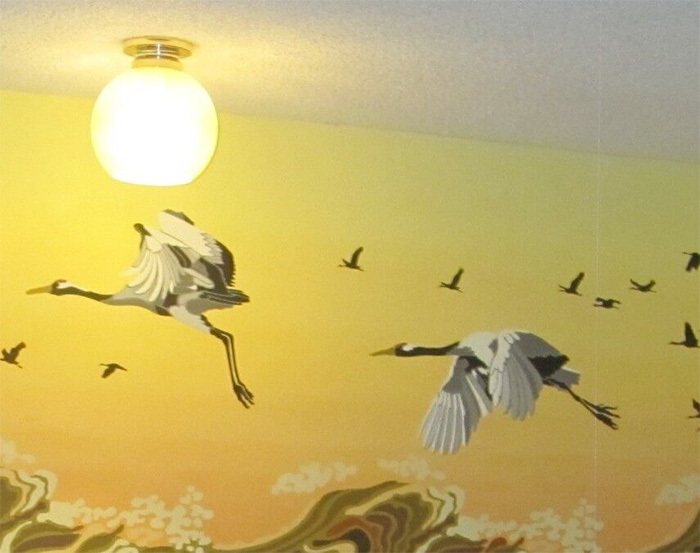 Detail of Cranes from Shawn's stunning Mural. The graded background is the perfect foil for Shawn's well planned stencilling.